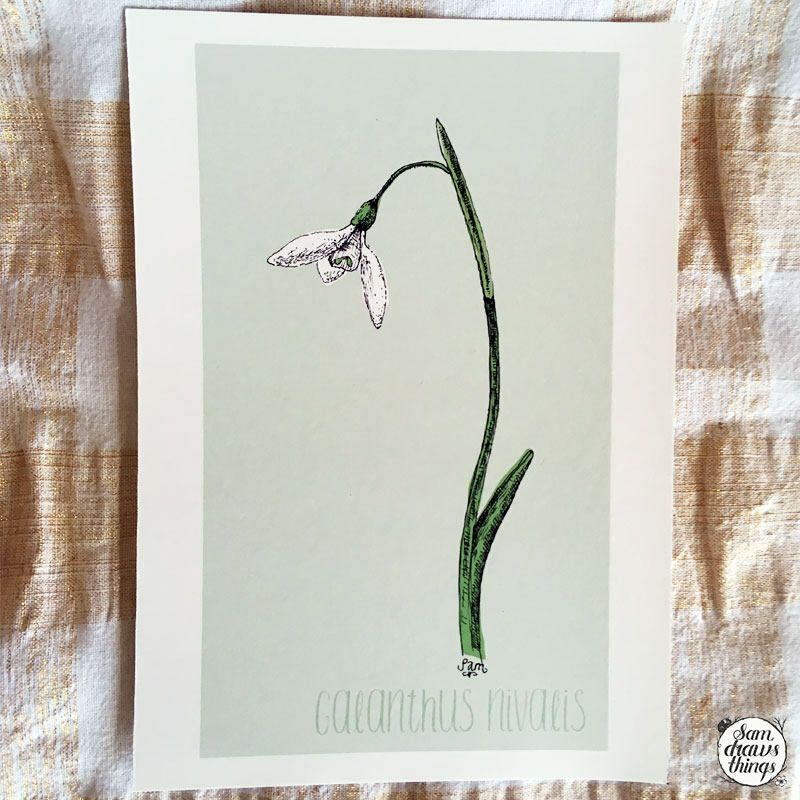 An elegant Snowdrop - Galanthus nivalis. The first flowers to appear after winter in the UK, I love to see them break through the ground and remind us all that spring is coming. Their delicate heads are like little fairy skirts, and their simple white and green hues are so elegant. 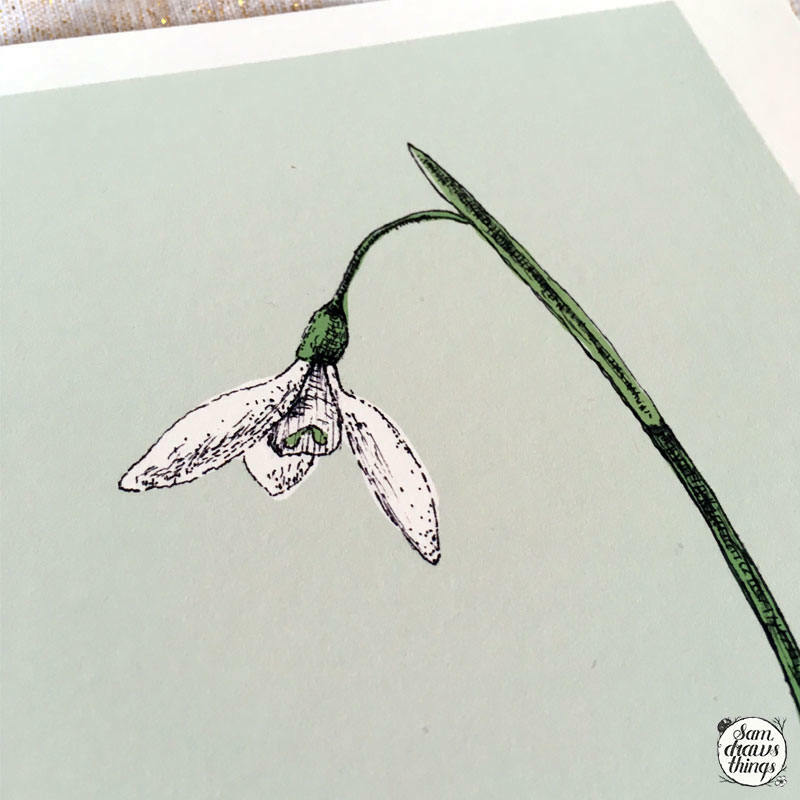 The Snowdrop is carefully drawn in pen and ink. 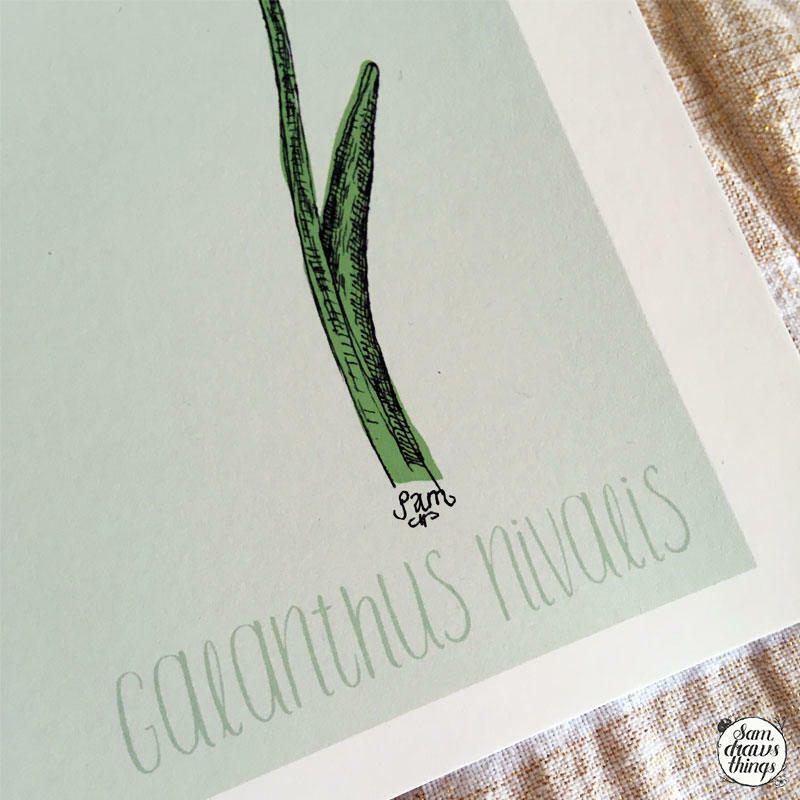 I've added the shades of green and text digitally to create a charming illustration of this gorgeous little flower. 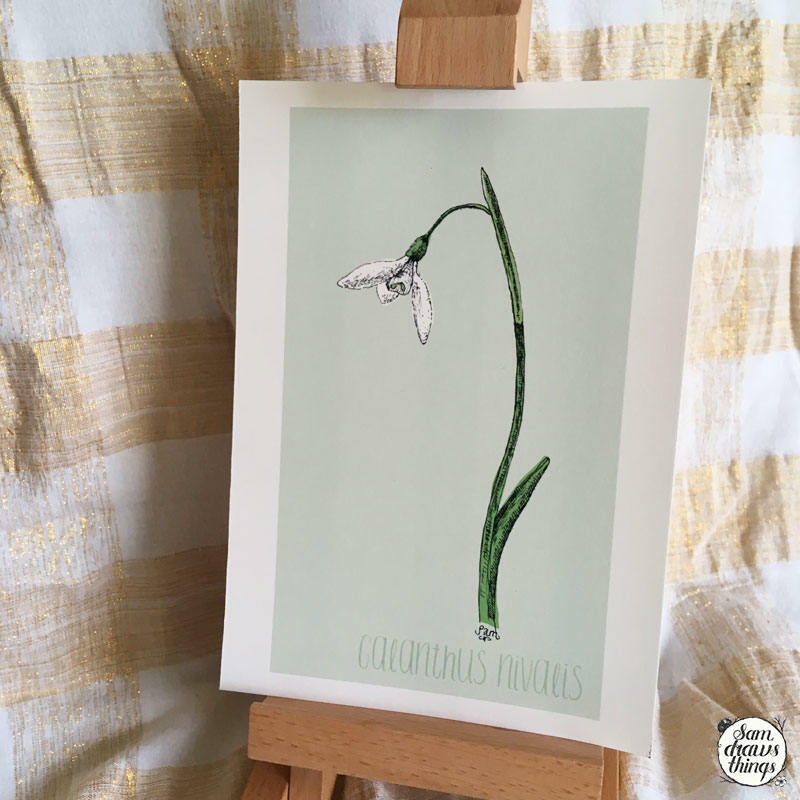 This listing is for a signed A5 giclee Snowdrop print on lovely archival paper. It is unmounted, and comes safely wrapped in cellophane ready for you to find the perfect frame.